Conceived and founded by the electrician engineer Julio Carlos Baumgarten in 1994, Garten began its activities with industrial electrical installations. In 1997, with a realistic and broad view of its customers, Júlio Baumgarten discovers the need for the rice industry market: quality improvement at all stages of production, allowing the beneficiation to have lower costs and product standardization Last. 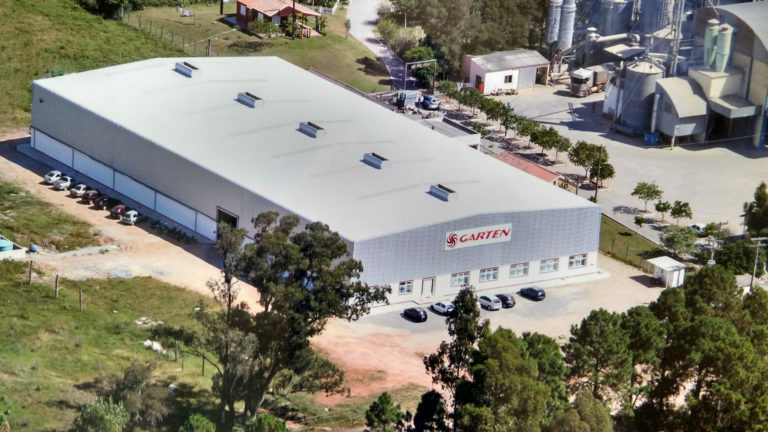 Also in 1997, Garten was hired by Coradini & Filhos Ltda to design and execute in the city of Dom Pedrito, in the state of Rio Grande do Sul, the first fully automated rice industry in Brazil. Once the first project was completed, it was a matter of time before several other projects on the same line were implemented by Garten. Today, as the World Leader in Rice Process Automation, the company already offers solutions to the coffee, sugar and other industries industries as well. Highly dynamic and modern, Garten is 24 years old, constantly seeking new solutions, benefits and dynamic systems from its partners. Under the watchful and enterprising gaze of its founder, Julio Carlos Baumgarten a Garten today has many direct and indirect collaborators and provides its services in several countries: Bulgaria, Chile, Cuba, Colombia, Dominican Republic, USA, Guyana, Honduras, Mexico, Nicaragua, Nigeria, Panama, Paraguay, the Dominican Republic, Senegal, Venezuela. Offer engineering solutions through innovative projects and products that meet the needs of information management and cost reduction of our customers, collaborating with their continuity and prosperity. To be a leader in the segment of equipment and solutions supply for the grain processing industry, recognized by the extreme professionalism and commitment with customers, partners and collaborators. Respect national and international laws and conventions, integrating our value chain in this commitment and promoting a sustainable and competitive business environment. Value employees, business partners and customers.